Thousands of single Latin women are eager to meet you here at 1st Latin women. 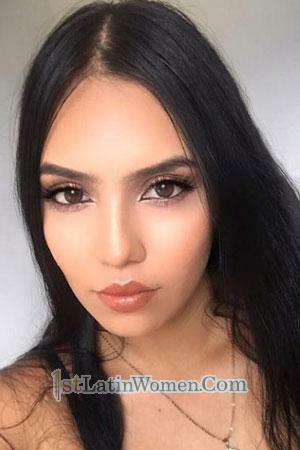 Many beautiful Latin ladies are enlisted on our website and all of them are excited to meet older foreign men like you. These lovely women are seeking for their soulmate too, just like you. Take a look at our list of profiles which is updated weekly to give you more results for your search for love. Meet thousands of single latin women who are eager to marry foreign men in our tours. Latin America is a common term that encompasses all of South America. It is a paradise for tourists and locals alike. There many destinations to see from lush greeneries to cool blue oceans. Its women is another reason why it attracts people too. Get to know single Latin girls that could possibly be the one for you while exploring South America’s beautiful countries. Begin your adventure by signing up on our website. All the women you meet here are screened and verified by our own live matchmakers. Rest assured that these ladies are real and true to their search in finding a man to match with. Come aboard our romance tours to Cartagena, Costa Rica, Peru, and more to meet the love of your life. Register free and explore this one of a kind dating opportunity. Why Choose to Date Single Latin Girls? Latin ladies are very sweet and loving in general. They have been brought up to be family-oriented thus, their caring nature. These ladies have been instilled with traditional Latin values and traditions, shaping them to become women with great attitude. For the same reason, these ladies are very romantic when it comes to relationship. They give everything they have when they fall in love. They break barriers, defy limits, and ignore social differences such as race, status, and distance. When these ladies fall for someone, they fall hard for the person and not for their making, be it a local Latin person or a foreign man. Find your very own latin single to love for the rest of your life by signing up with us for FREE. These Latin Women are very committed as well when in a relationship. They dedicate their time, self, and emotion fully to the person they are dating. They will truly live by their word when they say that they want to spend the rest of their life with one person. Given the Latin culture, it is expected for them to submit to their husband and stand by them through the good and the bad. Furthermore, these lovely women are very much open to new things including overcoming differences and getting to know new traditions. They do not fear changes. In fact, they are excited to learning something new. Which is why they do not have anything against marrying foreign men or marrying older individuals. Truth to be told, many single Latin girls are eager to meet men from the west. They are looking forward to meeting a foreign guy who can love them, take care of them, and be with them for the rest of their days. Want to meet your Latin bride? Interested in meeting these loving ladies in person? 1st Latin Women has everything you need right at your fingertips. See our Latin Women profiles to view individual profiles of the beautiful single ladies. We also have a page dedicated on tips on How to Meet Latin Women. Details of our singles tours can also be found on our Latin Singles’ Tours. See the schedules we have for Peru, Costa Rica, Colombia, and other Latin Tours as well as the perks you get to experience during the tour. Check out other pages in our website for other relevant information. Everything you need to meet these beautiful Latin singles is here for you. But you MUST take the first step and register now for free instantly!